Heating Installation | Clean Air Act Inc.
We hope you quickly discarded this thought. But if it’s still knocking around in your brain, we’ll give you 3 very good reasons why you should entrust this large undertaking to a professional, experienced company. Once you see that you should go to the experts, we hope you will choose Clean Air Act for your Portland, OR heating installation. This depends on local codes and the type of heater you plan to install. 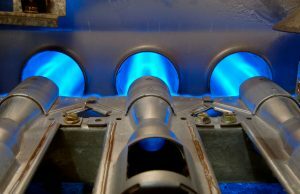 However, in many jurisdictions, laws prevent anyone without a permit from installing or repairing a gas-powered appliance that connects to a municipal supply line, or that connects to any sort of exhaust system. You can check local laws to make sure… but the better route is simply to entrust the job to someone who does have a permit: a professional installer. There are some good reasons why city and state laws often prohibit homeowners without licenses and permits from doing their own installations. The main one is that unskilled work on a heating system presents major health hazards. 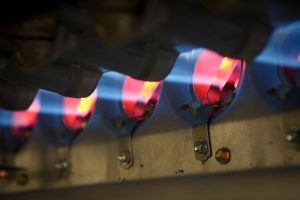 Work with natural gas lines can lead to leaks that expose people to toxic fumes and the risk of explosions; electrical heaters carry the danger of high voltage shocks. Even if you manage to install a heater without injuring yourself, you won’t know if the heater is running safely: a gas-powered heater could slowly leak carbon monoxide, and an electric heater could be a potential fire hazard because of faulty wiring. It’s almost guaranteed that if you try to perform an installation without any professional assistance, you will not get the job done effectively. Although the heater may appear to run adequately, it will soon start to malfunction and require repairs. The money you “saved” by going solo will end up spent on numerous repairs to keep the system running. Eventually, you will need to scrap the whole heater earlier than you would have if you relied on professional installation from the beginning. We understand that homeowners like to feel self-sufficient and want to find ways to save money. But a complex home heating system is not a place where you should cut corners or experiment with your toolkits. Too much rides on this system working properly. Stay safe and warm—and legal—by calling in an expert HVAC company for your Portland, OR heating installation. Clean Air Act offers comprehensive installation on many different kinds of heating systems. Contact us today to get started with a superb installation for your home.